Island single malt Jura has unveiled ‘One For The Road’ – a 22-year-old limited edition whisky to mark the retirement of distillery manager Willie Cochrane. Cochrane will celebrate the end of his 39-year career with Jura by embarking on a Europe-wide tour in September this year, including a number of tastings and masterclasses involving One For The Road. Only 5,000 bottles of the 22-year-old expression, which has a Pinot Noir finish, will be available globally, with a recommended sale price of £120 a bottle. Cochrane arrived on Jura in 1977, intending to only stay for one year and with little knowledge of the world of whisky. 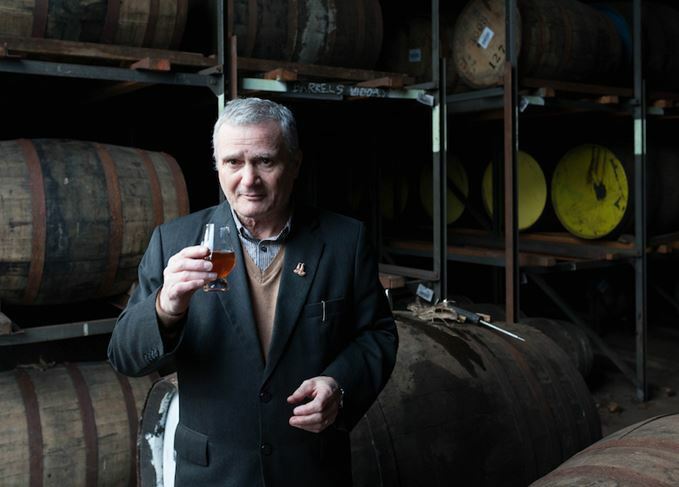 However, he landed a job at the distillery, working as a mashman and stillman before being promoted to the manager’s post 11 years ago, and has welcomed thousands of visitors to Jura over the years. Jura’s new manager is Graham Logan, also a former mashman and stillman, who has worked with Cochrane for over 20 years. ‘One of the perks of my job is meeting people who have travelled to the island from far and wide to share their appreciation for whisky with me and the team at the distillery,’ said Cochrane.